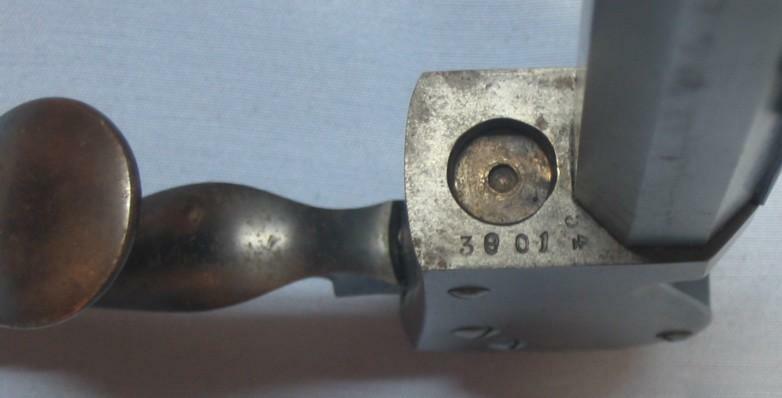 Shooting rifle Hämmerli & Hausch of 1909 in calibre 8mm. 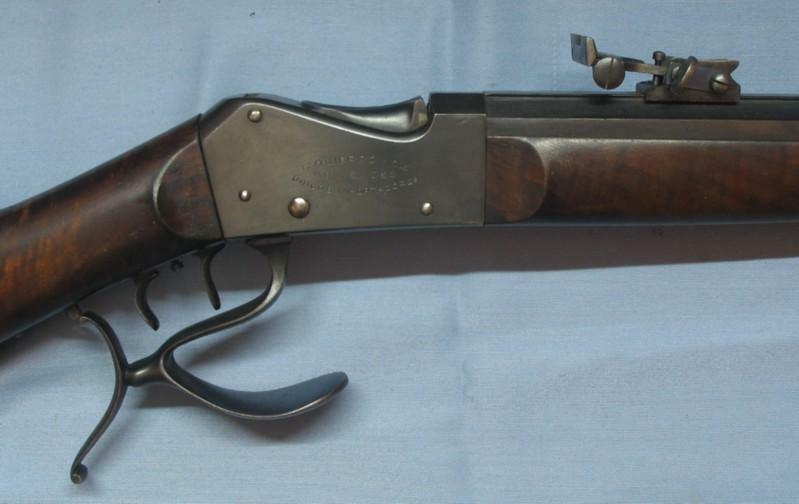 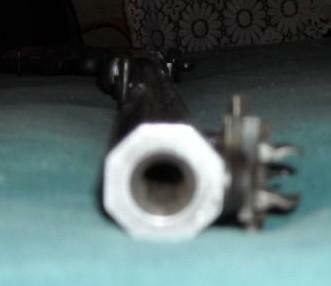 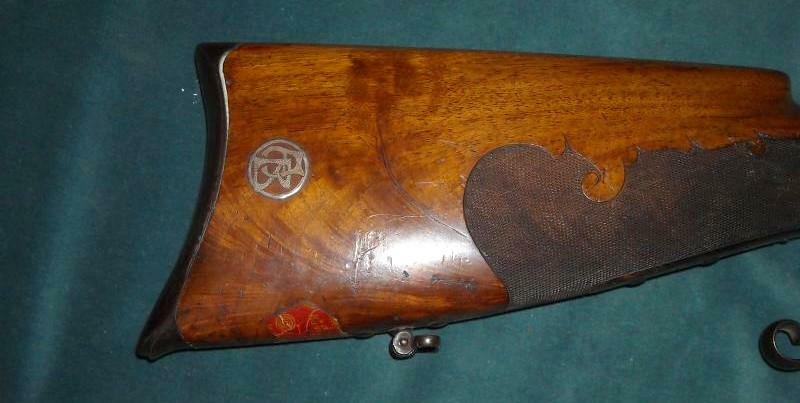 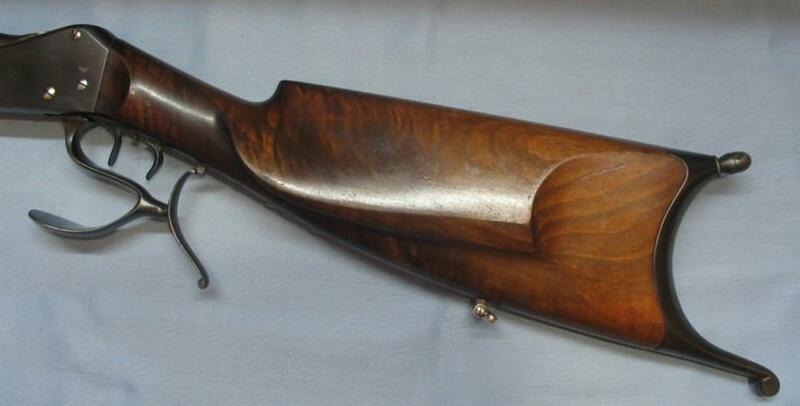 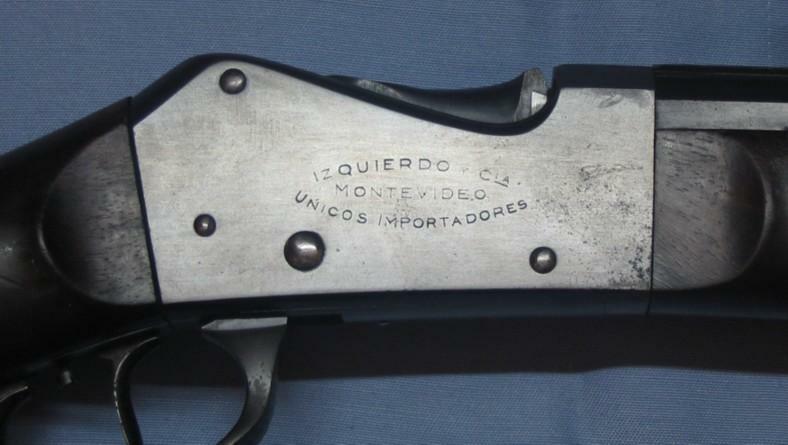 Target rifle in 22 caliber, it has two barrels; the barrel that is now on the rifle does not seem to be the original since the extra barrel shares the same serial number (3901). 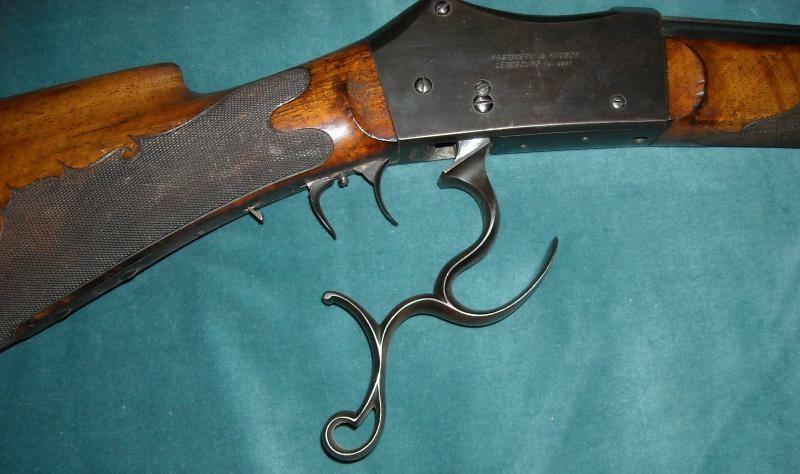 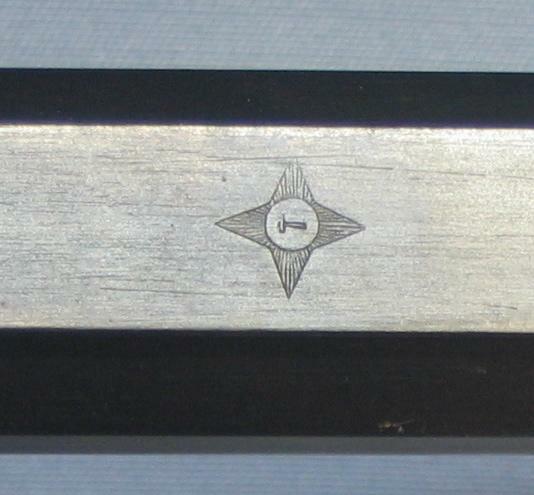 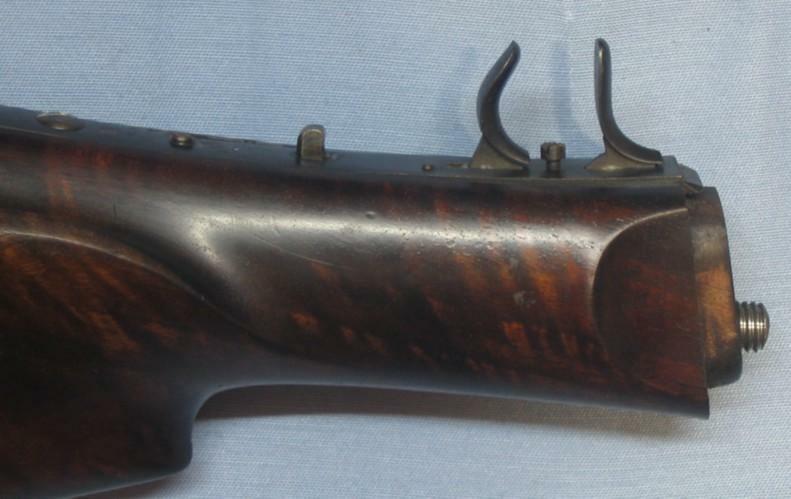 It is a Schutzen-style Single-Shot Rifle, cal 5.4mm, serial #3901, barrel 27 1/2 inches, overall length 45 inches, the attached barrel has the following marks: RH & Cie, A in circle, P 79, W. S., 35/6, 5.4, the rifle has a double-set trigger, stamped on right side of action it reads: "IZQUIERDO 7 Cia MONTEVIDEO UNICOS IMPORTADORES", it is missing part of front sight, the second barrel (which I think was originally on the rifle): 27 1/2 inches, H&H, #3901 R.F., A in circle, M 54, 35/6, 5.4.